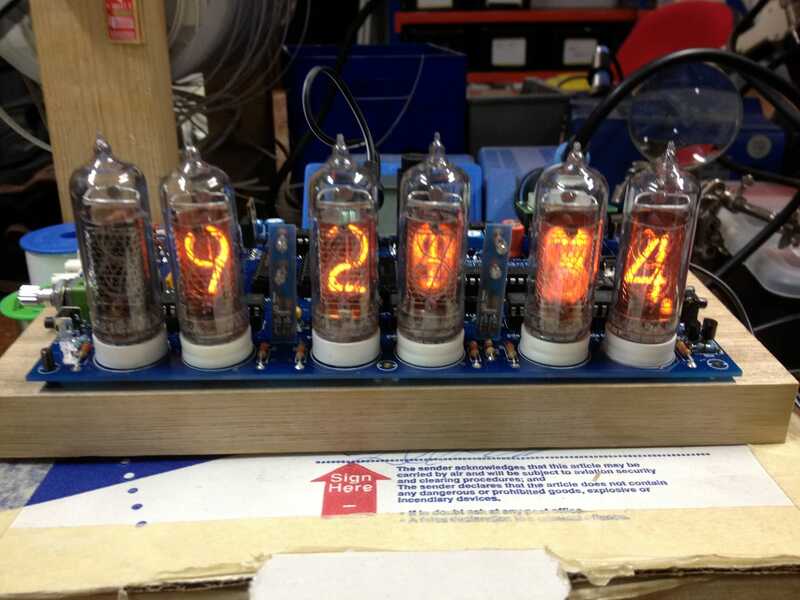 In 2004, I bought a PIC based Nixie Clock from an online vendor. At the time, I had very basic soldering skills but I was able to work through the kit and finish it. 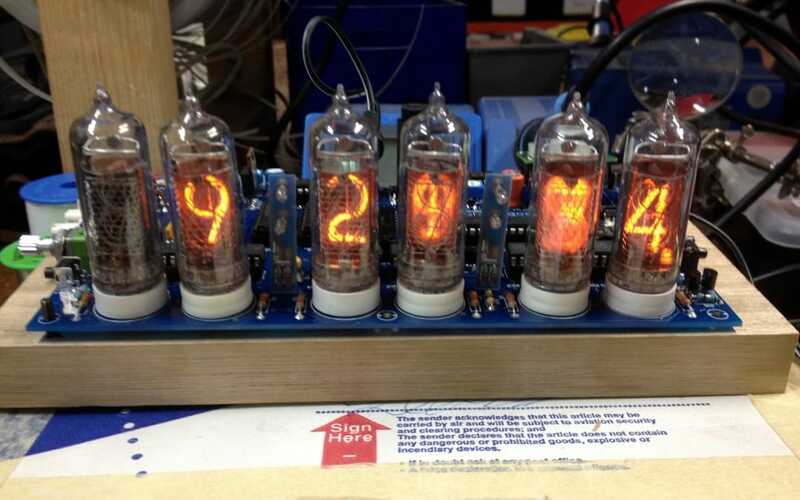 I love old technology, and the Nixie tubes are cold cathode display for displaying numerals or other information using glow discharge. As I was growing up, I fell in love with these displays in 50’s and 60’s Science Fiction films. So, when I had the chance to get a clock using these devices, I jumped at it. … until I unearthed the kit a few months ago and passed it on to a friend of mine to check my work. The plan was to get his father to look over it, and see if it would work. After a few months, I saw the kit still in the back of his car, so I grabbed it and headed down to the CCHS with a skip in my step and a smirk on my face. After an hour of checking and cleaning up some solder joints, I put in the PIC chips and powered her up. To my surprise, three of the six tubes fired up without an issue and glowed warmly. 🙂 Two others seemed to have a fault in them as if the leads to the tubes were shorting and firing off all the different segments.